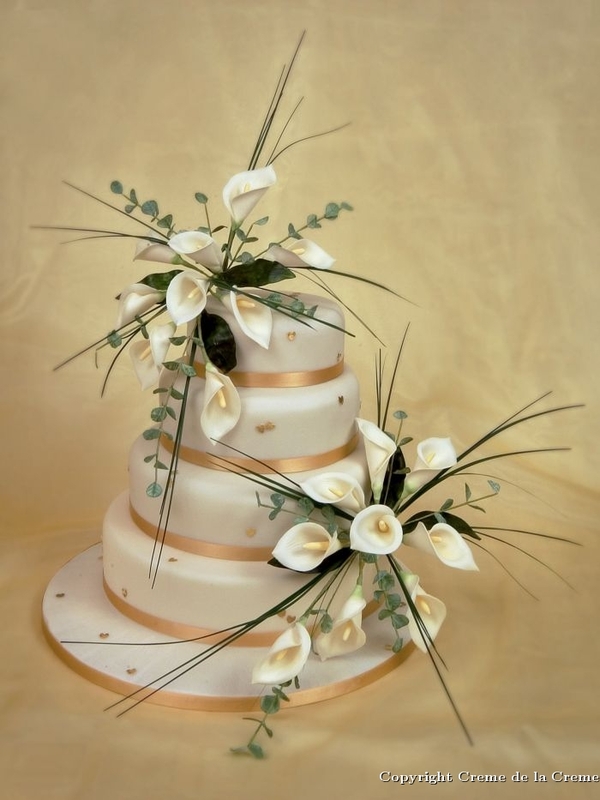 All flowers, foliage and castles on the cakes are delicately made from sugar and will keep indefinitely if stored correctly. 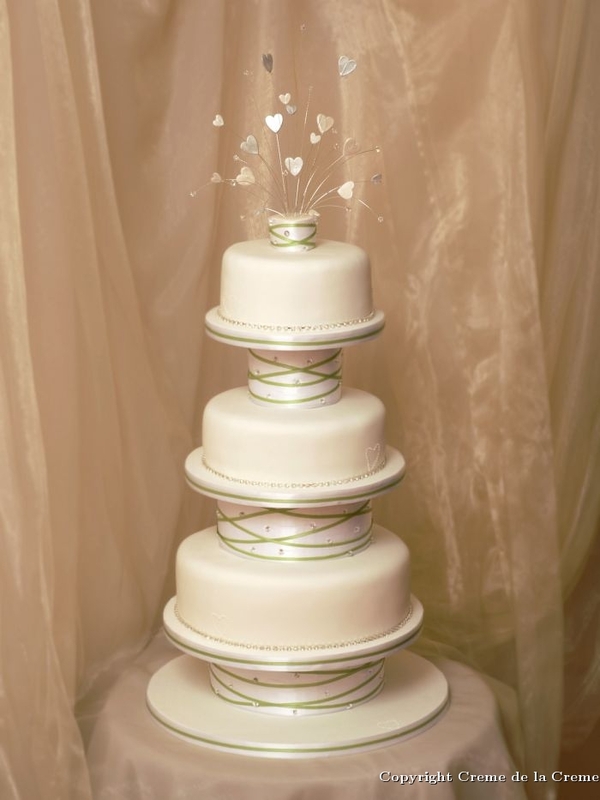 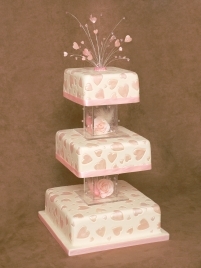 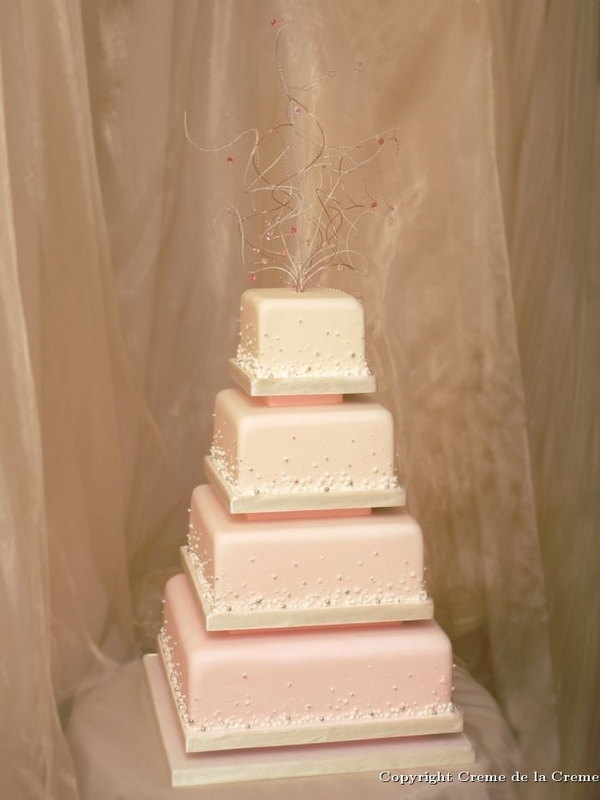 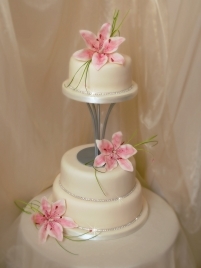 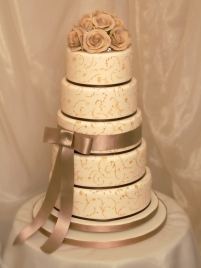 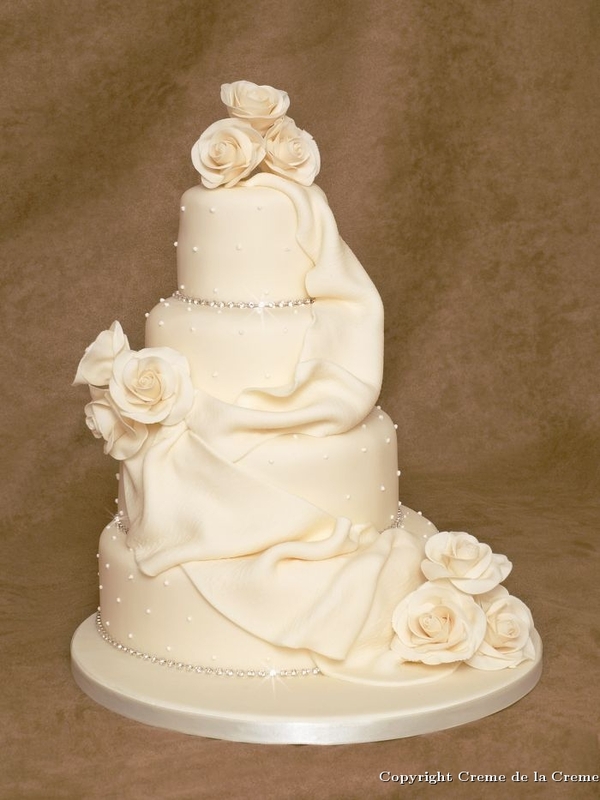 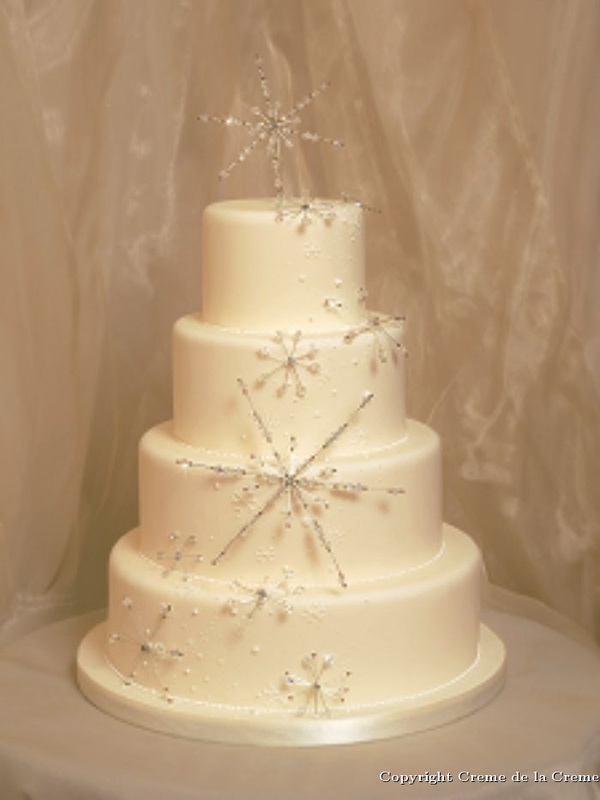 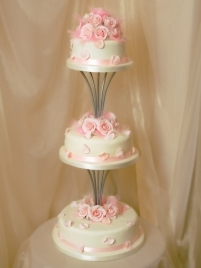 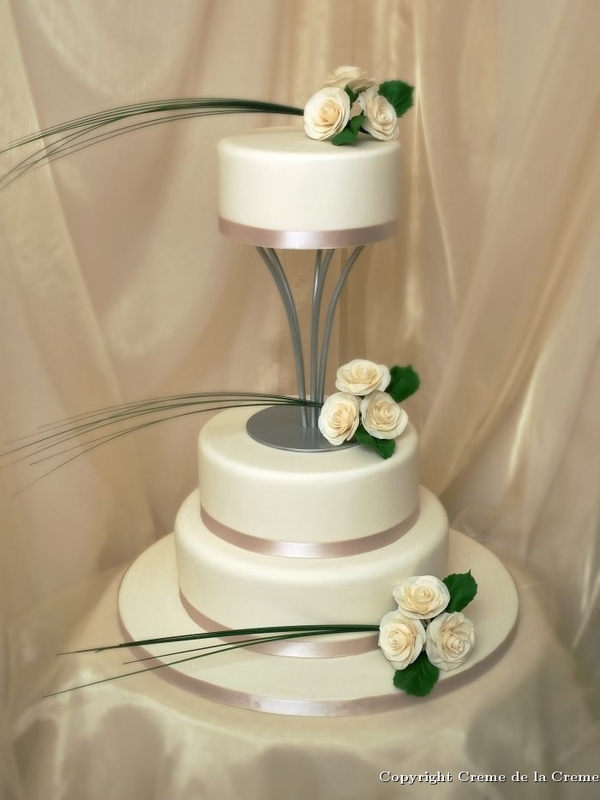 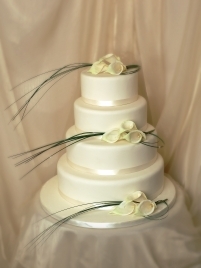 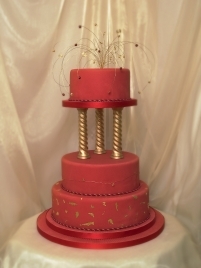 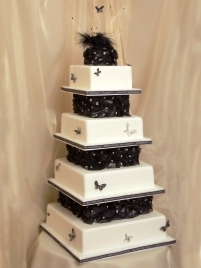 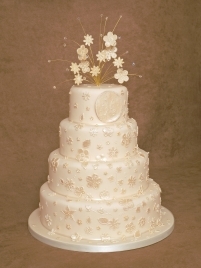 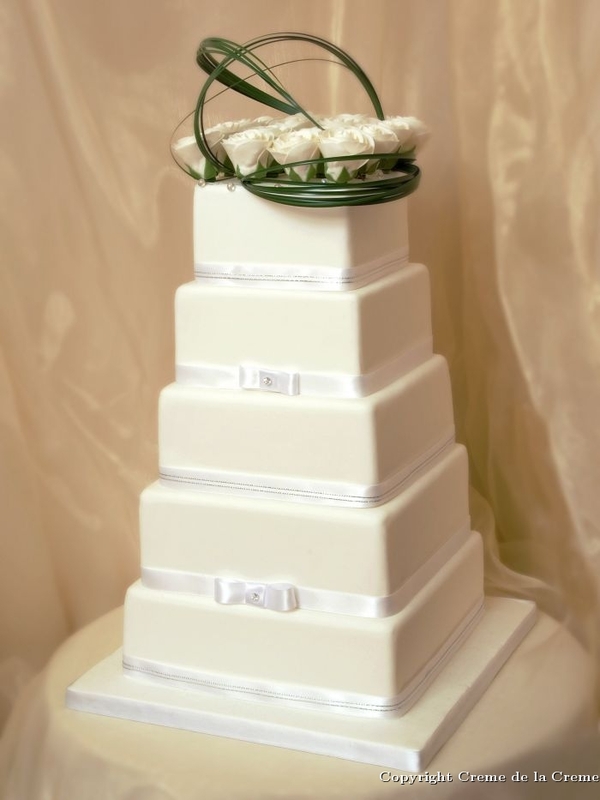 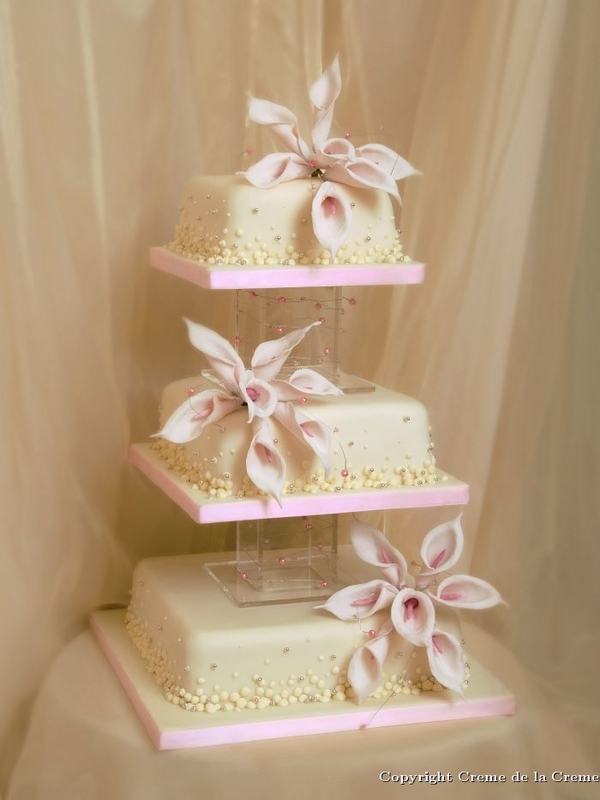 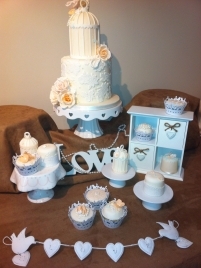 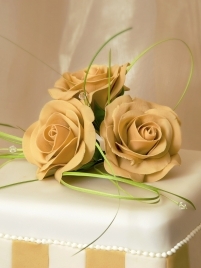 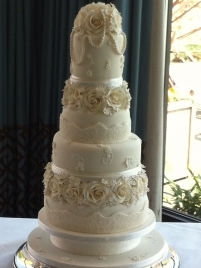 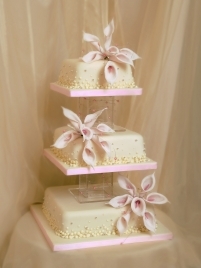 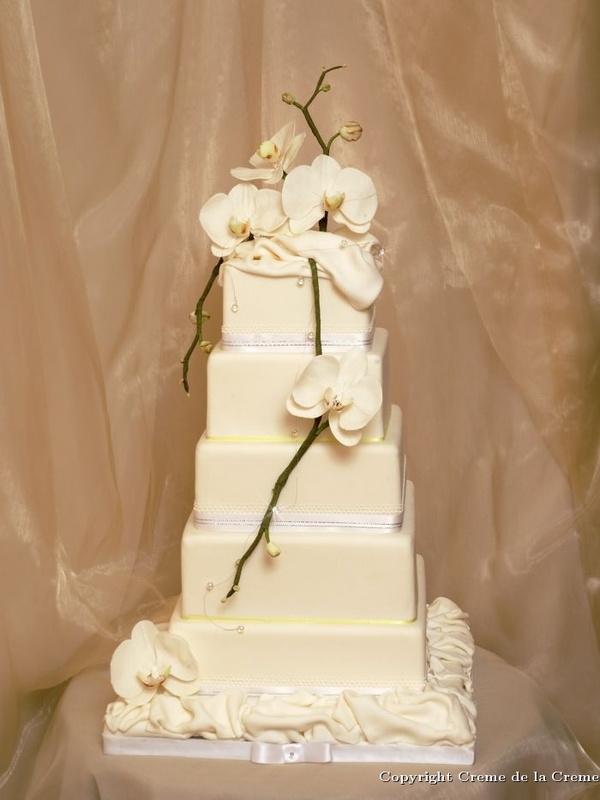 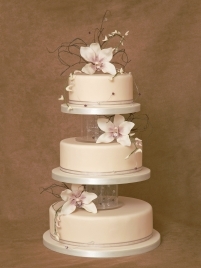 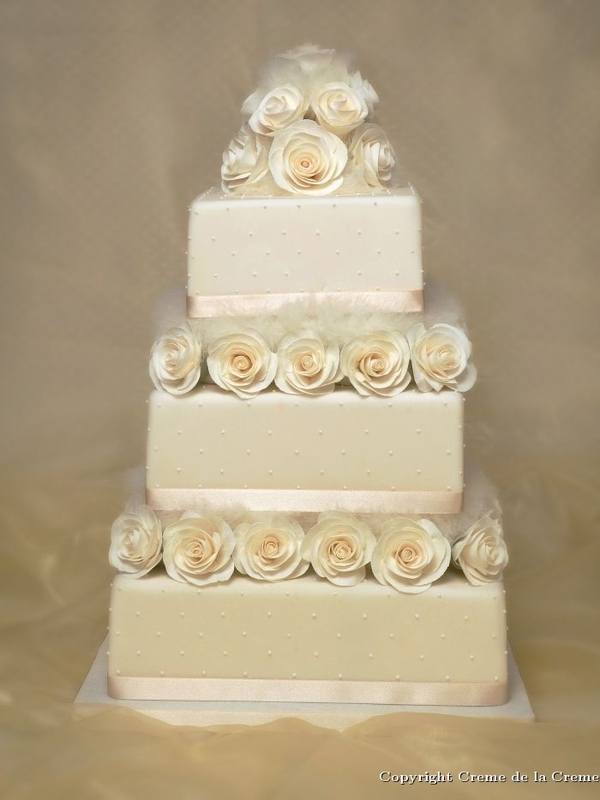 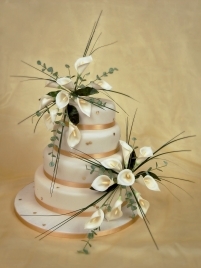 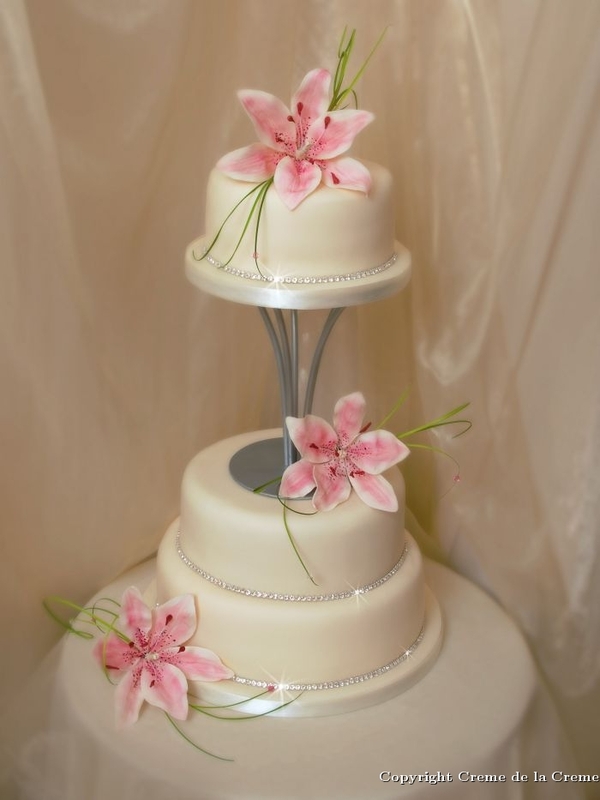 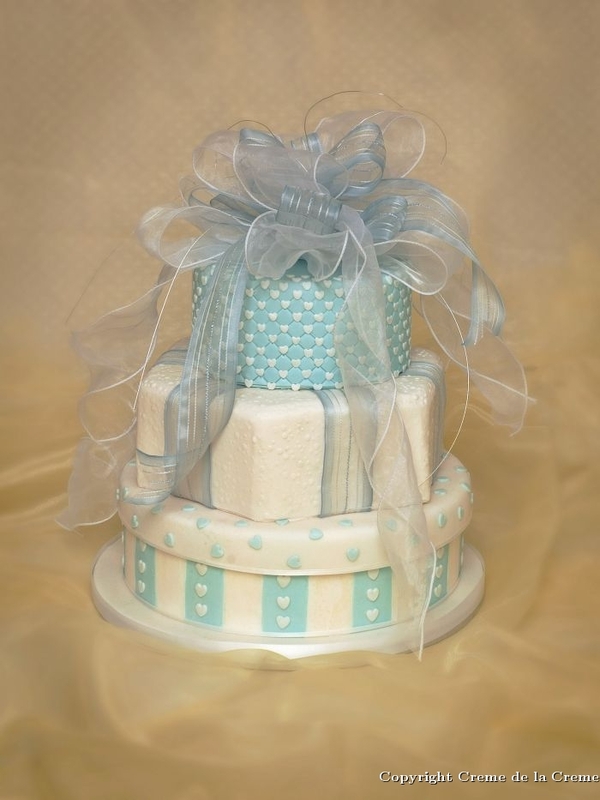 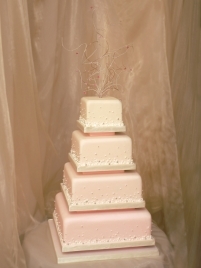 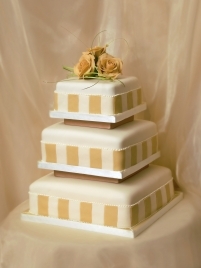 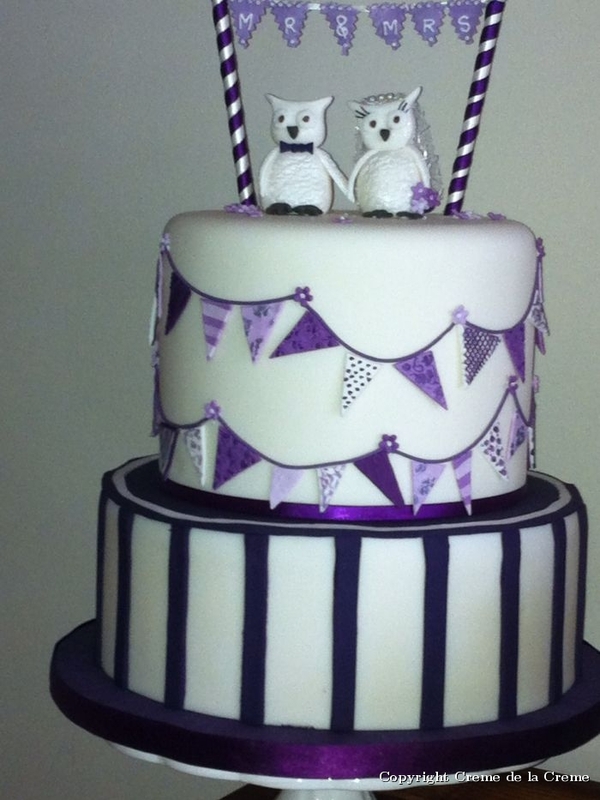 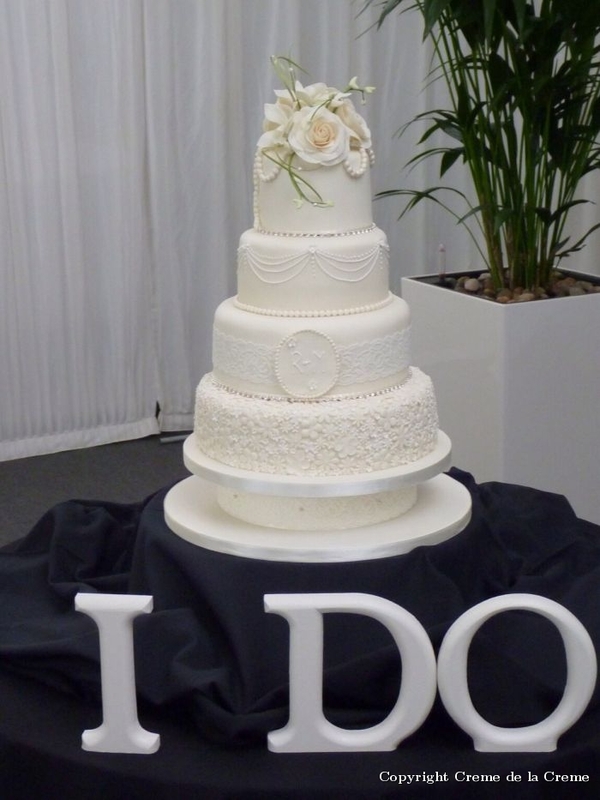 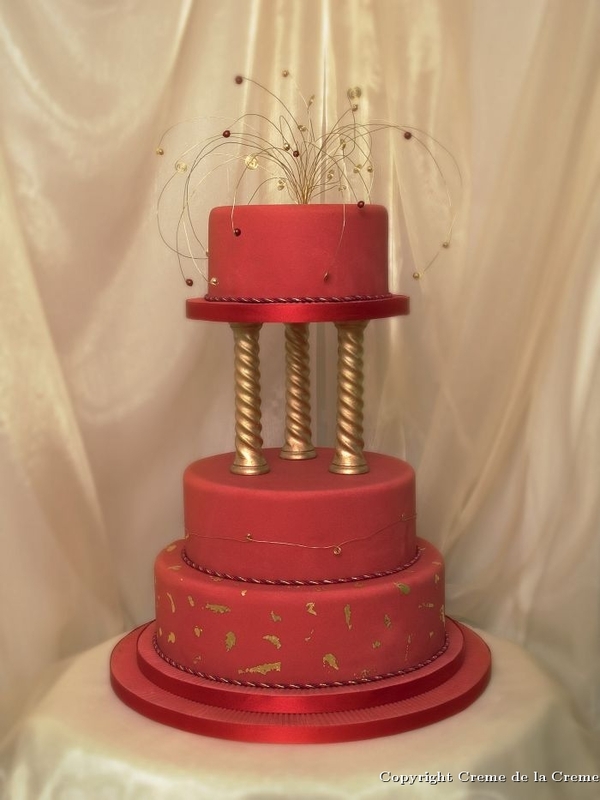 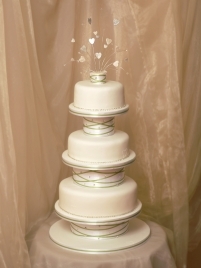 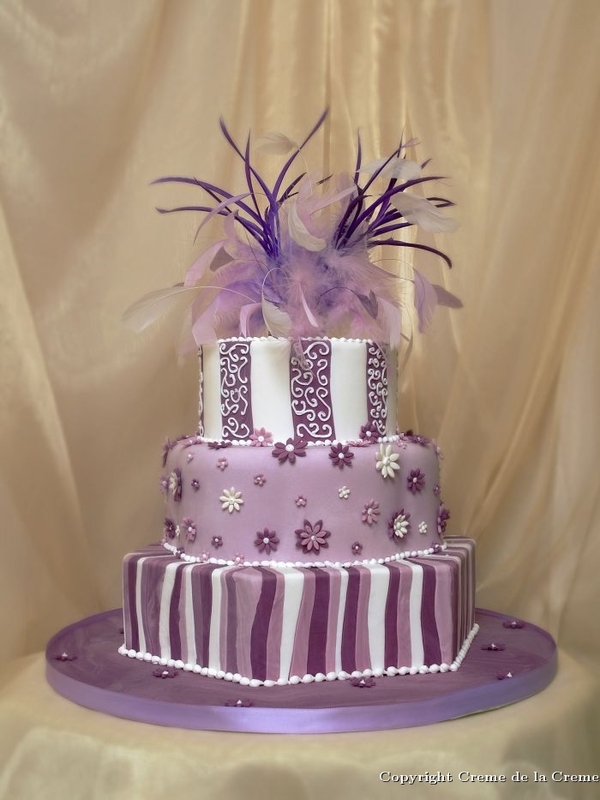 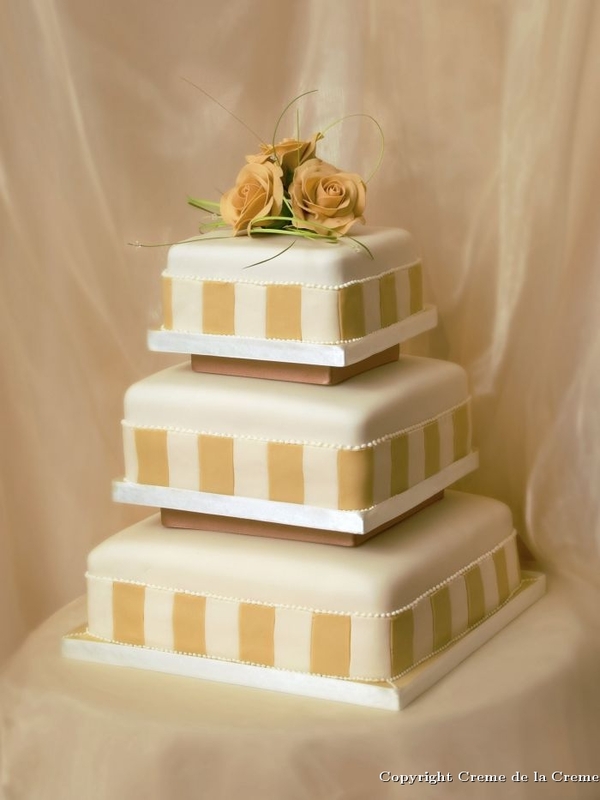 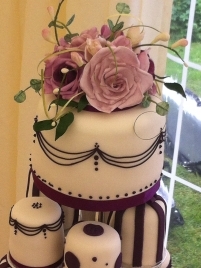 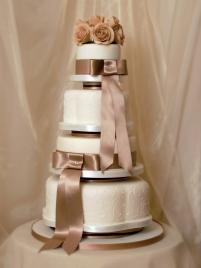 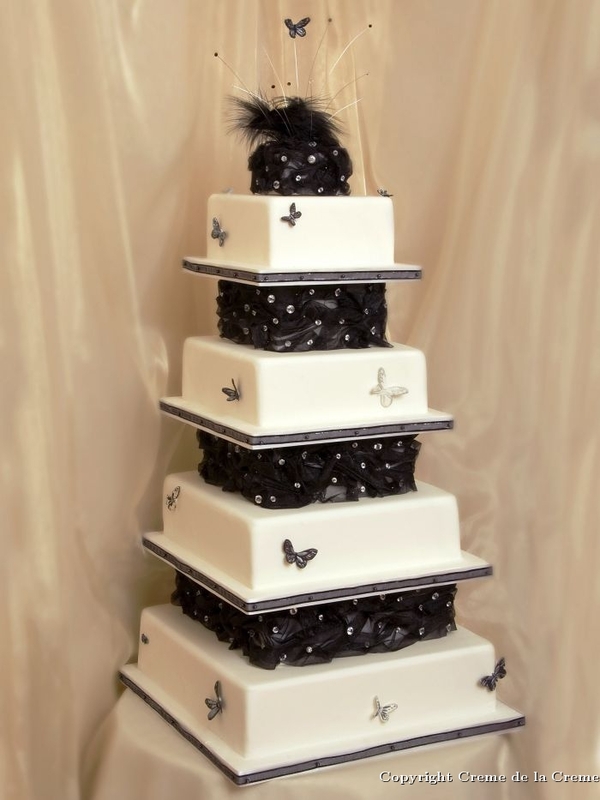 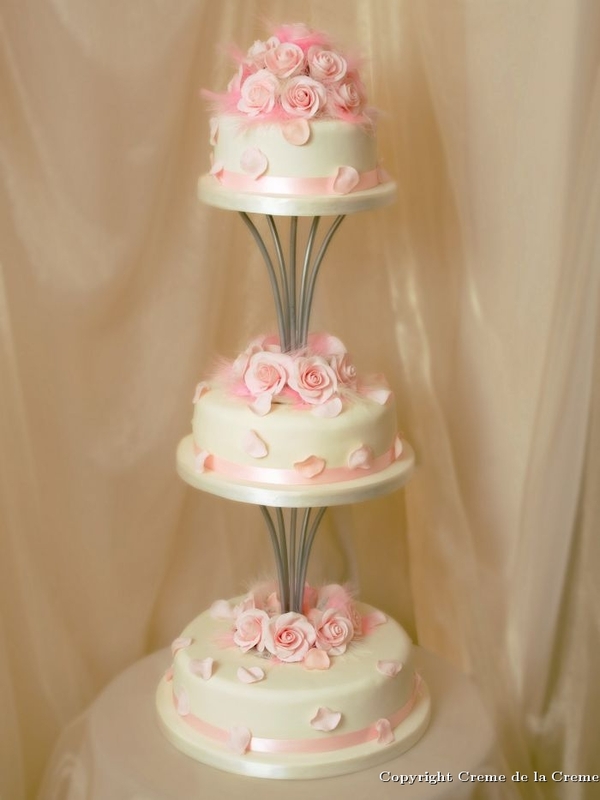 The design and style of a wedding cake varies enormously as do the flavours of the cake. 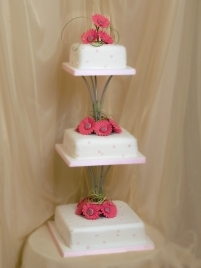 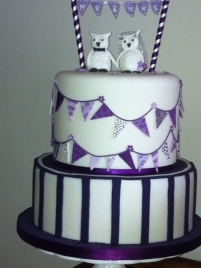 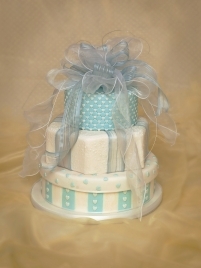 Each tier can be made using a different flavour if you wish (see information for more details). 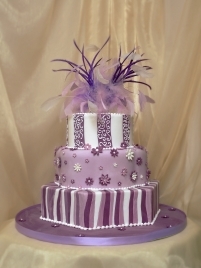 Click on an image to enlarge photograph & see description.